Mountainside Hospital, Glen Ridge, New Jersey, U.S.
Buzz Aldrin (born Edwin Eugene Aldrin Jr., January 20, 1930) is an American engineer and former astronaut. As the Lunar Module Pilot on Apollo 11, he was one of the first two humans to land on the Moon, and the second person to walk on it. 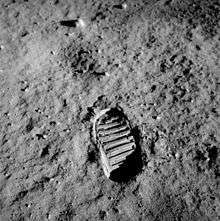 He set foot on the Moon at 03:15:16 on July 21, 1969 (UTC), following mission commander Neil Armstrong. He is a former U.S. Air Force officer with the Command Pilot rating. Aldrin was born January 20, 1930, in Mountainside Hospital, in Glen Ridge, New Jersey. His parents were Edwin Eugene Aldrin Sr. (1896–1974), a career military man, and Marion (Moon) Gaddys (1903–1968), who lived in neighboring Montclair. He is of Scottish, Swedish, and German ancestry. Aldrin was a Boy Scout and earned the rank of Tenderfoot Scout. After graduating from Montclair High School in 1947, Aldrin turned down a full scholarship offer from the Massachusetts Institute of Technology (which he would later attend for graduate school), and went to the United States Military Academy at West Point, New York. The nickname "Buzz" originated in childhood: the younger of his two elder sisters mispronounced "brother" as "buzzer", and this was shortened to Buzz. Aldrin made it his legal first name in 1988. After the war, Aldrin was assigned as an aerial gunnery instructor at Nellis Air Force Base in Nevada, and next was an aide to the dean of faculty at the United States Air Force Academy, which had recently begun operations in 1955. That same year, he graduated from the Squadron Officer School at Maxwell Air Force Base in Alabama. He flew F-100 Super Sabres as a flight commander at Bitburg Air Base, West Germany, in the 22d Fighter Squadron. In January 1963, Aldrin earned a Sc.D. 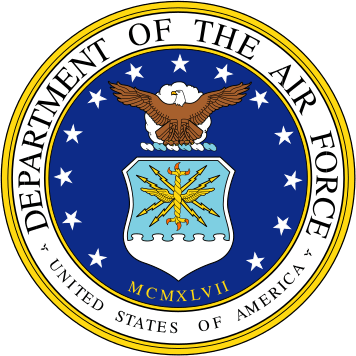 degree in astronautics from the Massachusetts Institute of Technology, where he had been assigned as a graduate student (under the auspices of the Air Force Institute of Technology) since 1959. His doctoral thesis was Line-of-Sight Guidance Techniques for Manned Orbital Rendezvous, the dedication of which read, "In the hopes that this work may in some way contribute to their exploration of space, this is dedicated to the crew members of this country’s present and future manned space programs. If only I could join them in their exciting endeavors!" On completion of his doctorate, he was assigned to the Gemini Target Office of the Air Force Space Systems Division in Los Angeles before his selection as an astronaut. 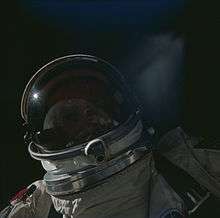 His initial application to join the astronaut corps was rejected on the basis of never having been a test pilot; that prerequisite was lifted when he re-applied and was accepted into the third astronaut class. 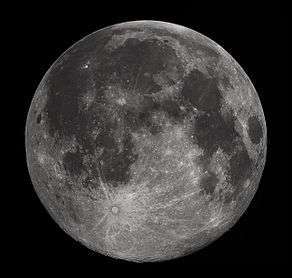 Aldrin's first impression of the Moon, standing on its surface. Aldrin was chosen for the crew of Apollo 11 and made the first lunar landing with commander Neil Armstrong on July 20, 1969. The next day, Aldrin became the second person to walk on the Moon, keeping his record total EVA time until that was surpassed on Apollo 14. Aldrin's first words on the Moon were "Beautiful view." Then, in response to Armstrong asking, "Isn't it magnificent? ", he responded, "Magnificent desolation." He was also the first person to urinate while on the Moon. There has been speculation about the extent of Aldrin's desire at the time to be the first astronaut to walk on the Moon and its impact on his pre-flight, in-mission and post-flight actions. According to different NASA accounts, the Lunar Module Pilot (i.e. Aldrin on Apollo 11) had originally been proposed as the first to step onto the Moon's surface in early versions of the EVA checklist, and when Aldrin became aware that this might be amended, he lobbied within NASA for the original procedure to be followed. A number of factors seem to have contributed to the final decision, including the physical positioning of the astronauts inside the compact lunar lander, which made it easier for Armstrong to be the first to exit the spacecraft. Also, Armstrong was the Mission Commander, and other senior astronauts who would command later Apollo missions (and who might have ended up making the first landing in the event of failure on Apollo 11) were not sympathetic to Aldrin's views. Apollo 11 Command Module Pilot Michael Collins commented that he thought Aldrin "resents not being first on the moon more than he appreciates being second." Aldrin, a Presbyterian, was the first person to hold a religious ceremony on the Moon. After landing on the Moon, he radioed Earth: "I'd like to take this opportunity to ask every person listening in, whoever and wherever they may be, to pause for a moment and contemplate the events of the past few hours, and to give thanks in his or her own way." He took communion on the surface of the Moon, but he kept it secret because of a lawsuit brought by atheist activist Madalyn Murray O'Hair over the reading of Genesis on Apollo 8. Aldrin, then a church elder, used a home communion kit given to him, and recited words used by his pastor at Webster Presbyterian Church, the Rev. Dean Woodruff. The communion elements were the first food and liquid consumed on the Moon: in Guideposts, Aldrin stated: "It was interesting to think that the very first liquid ever poured on the Moon, and the first food eaten there, were communion elements." 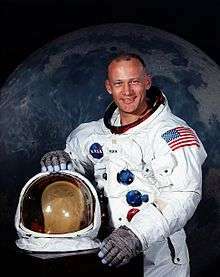 Later Aldrin commented on the event: "Perhaps, if I had it to do over again, I would not choose to celebrate communion. Although it was a deeply meaningful experience for me, it was a Christian sacrament, and we had come to the Moon in the name of all mankind – be they Christians, Jews, Muslims, animists, agnostics, or atheists. But at the time I could think of no better way to acknowledge the enormity of the Apollo 11 experience than by giving thanks to God." Mindful of the controversy caused by the Bible readings made by the Apollo 8 crew, the NASA management had warned the Apollo 11 crew against making any explicit religious comments during the flight. However, in the final Apollo 11 TV broadcast during the return journey to Earth, Aldrin quoted from Psalm 8 (verses 3 and 4) "I’ve been reflecting the events of the past several days and a verse from the Psalms comes to mind to me. 'When I consider the heavens, the work of thy fingers, the moon and the stars which thou hast ordained, what is man that thou art mindful of him?'". This particular quote seems to have been accepted as a personal observation and did not precipitate any controversy. After leaving NASA in July 1971, Aldrin was assigned as the Commandant of the U.S. Air Force Test Pilot School at Edwards Air Force Base, California. 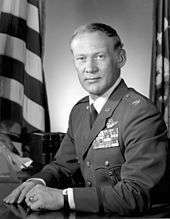 In March 1972, Aldrin retired from active duty after 21 years of service, and returned to the Air Force in a managerial role, but his career was blighted by personal problems. His autobiographies Return to Earth, published in 1973, and Magnificent Desolation, published in June 2009, both provide accounts of his struggles with clinical depression and alcoholism in the years following his NASA career. Aldrin's life improved considerably when he recognized and sought treatment for his problems. Since retiring from NASA, he has continued to promote space exploration. In 1985 he joined the University of North Dakota's College of Aerospace Sciences (now the John D. Odegard School of Aerospace Sciences) at the invitation of John D. Odegard, the dean of the college at time. Aldrin helped to develop UND's Space Studies program and brought Dr. David Webb from NASA to serve as the department's first chair. Later, he produced a computer strategy game called Buzz Aldrin's Race Into Space (1993). To further promote space exploration, and to commemorate the 40th anniversary of the first lunar landing, Aldrin teamed up with Snoop Dogg, Quincy Jones, Talib Kweli, and Soulja Boy to create the rap single and video, "Rocket Experience", with proceeds from video and song sales to benefit Aldrin's non-profit foundation, ShareSpace. He referred to the Phobos monolith in a July 22, 2009, interview with C-SPAN: "We should go boldly where man has not gone before. Fly by the comets, visit asteroids, visit the moon of Mars. There's a monolith there. A very unusual structure on this potato shaped object that goes around Mars once in seven hours. When people find out about that they're going to say 'Who put that there? Who put that there?' The universe put it there. If you choose, God put it there…"
In December 2016, Aldrin was visiting the Amundsen–Scott South Pole Station, Antarctica as part of a tourist group, when he fell ill and was evacuated, first to McMurdo Station and from there to Christchurch, New Zealand, where he was reported to be in stable condition. In 1985, Aldrin proposed the existence of a special spacecraft trajectory now known as the Aldrin cycler. Aldrin's system of cycling spacecraft makes travel to Mars possible using far less propellant than conventional means, with an expected five and a half month journey from the Earth to Mars, and a return trip to Earth of about the same duration on a twin-cycler. Aldrin is still working on this with engineers from Purdue University. 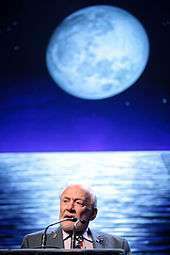 Books co-authored by Aldrin include Return to Earth (1973), Men From Earth (1989), Reaching for the Moon (2005), Look to the Stars (2009) and Magnificent Desolation (2009). He has also co-authored with John Barnes the science fiction novels Encounter with Tiber (1996) and The Return (2000). His book Mission to Mars was published in May 2013. In April 2016, he released his latest book, No Dream is Too High. In 2016 Aldrin's hometown middle school in Montclair New Jersey will be renamed the Buzz Aldrin Middle School. Aldrin has been married three times. His first marriage was to Joan Archer (1954–1974), the mother of his three children (James, Janice and Andrew). His second marriage was to Beverly Zile (1975–1978). His third marriage was to Lois Driggs Cannon (1988–2011), from whom he filed for divorce on June 15, 2011, in Los Angeles, citing "irreconcilable differences". The divorce was finalized on December 28, 2012. He has one grandson, Jeffrey Schuss, born to his daughter, Janice. In 2016, he resided in Satellite Beach, Florida. Aldrin, Col. Edwin E. Jr. 1970. Footsteps on the Moon. Edison Electric Institute Bulletin. Vol. 38, No. 7, pp. 266–272. 1 2 "To the Moon and beyond", The Record (Bergen County), July 20, 2009; retrieved July 20, 2009. The source is indicative of the confusion regarding his birthplace. He is described in the article's first paragraph as having been "born and raised in Montclair, New Jersey", while a more detailed second paragraph on "The Early Years" states that he was "born Edwin Eugene Aldrin Jr. on January 20, 1930, in the Glen Ridge wing of Montclair Hospital". ↑ Hansen, James R. (2005). First Man: The Life of Neil A. Armstrong. Simon & Schuster. p. 348. ISBN 0743257510. "His birth certificate lists Glen Ridge as his birthplace." ↑ "Archived copy". Archived from the original on 2008-04-02. Retrieved 2008-05-09. CS1 maint: BOT: original-url status unknown (link); retrieved November 8, 2012. ↑ Solomon, Deborah; Oth, Christian (June 21, 2009). "Questions for Buzz Aldrin: The Man on the Moon". The New York Times. Retrieved March 15, 2015. ↑ Powell, Sarah. "From The Dollar To The Moon. Chapter 7 – That "giant leap for mankind"". Archived from the original on 2010-12-24. Retrieved 2012-11-08. CS1 maint: BOT: original-url status unknown (link) . burkespeerage.com; accessed October 25, 2015. ↑ "Scouting and Space Exploration". scouting.org. Archived from the original on 2016-03-04. ↑ "Aldrin Was A Classmate" (PDF). Adirondack Daily Enterprise. July 14, 1969. Archived from the original (PDF) on September 27, 2013. Retrieved July 17, 2012. ↑ Chaikin, Andrew (2007). A Man on the Moon. Penguin. p. 585. ISBN 014311235X. ↑ "Communist Pilot is Catapulted from Crippled MIG". Life. June 8, 1953. p. 29. ISSN 0024-3019. Retrieved November 8, 2012. ↑ "Astronaut Bio: Buzz Aldrin". nasa.gov. ↑ "Legendary Astronaut, Rocket Scientist and more... | QGITS". QGITS. 2013-05-12. Retrieved 2016-12-01. ↑ MSFC, Heather Deiss : (2015-05-12). "What Is a Spacewalk?". NASA. Retrieved 2016-12-01. ↑ "International Space Hall of Fame: New Mexico Museum of Space History: Inductee Profile". nmspacemuseum.org. ↑ Teague, Kipp, ed. (July 21, 1969). 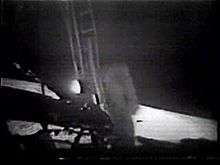 Apollo 11 – Buzz Aldrin Descends Ladder to Lunar Surface (MPEG-1). National Aeronautics and Space Administration. Retrieved December 22, 2013. Lay summary – Apollo 11 Video Library (September 6, 2011). Beautiful view. Magnificent desolation. ↑ Diaz, Jesus (July 20, 2011). "Buzz Aldrin Was the First Man to Pee on the Moon – 42 Years Ago Today". Gizmodo. Retrieved September 23, 2015. ↑ Minard, Anne (July 16, 2009). "Buzz Aldrin, First Man (to Pee) on the Moon, Sounds Off". National Geographic News. Retrieved September 23, 2015. ↑ Graham, Jane (September 3, 2013). "Letter to my younger self – Buzz Aldrin". Big Issue. Retrieved April 8, 2016. ↑ Hillner, Jennifer (January 24, 2007). "Sundance 2007: Buzz Aldrin Speaks". Table of Malcontents – Wired Blogs. Retrieved May 7, 2007. 1 2 Cresswell, Matthew (September 13, 2012). "How Buzz Aldrin's communion on the moon was hushed up". The Guardian. ↑ "4th Day Alliance – Creationism, Creation Science, and Creation Astronomy – Apollo Space Program Bible Quotations". 4thdayalliance.com. ↑ "Aldrin note up for auction". usatoday.com. ↑ Rice, Daniel R (1992). The Clifford Years: The University of North Dakota, 1971-1992. p. 46. ↑ "Buzz Aldrin and Snoop Dogg reach for the stars with Rocket Experience", The Times, June 25, 2009. ↑ Goldberg, Lesley (October 9, 2012). "Buzz Aldrin Lands 'Big Bang Theory' Cameo". Hollywood Reporter. Retrieved December 2, 2016. ↑ Egan, James. 3000 Facts about Video Games. Lulu.com. p. 159. ISBN 9781326818869. ↑ McCann, Erin (December 1, 2016). "Buzz Aldrin Is Evacuated From the South Pole After Falling Ill". New York Times. Retrieved December 1, 2016. 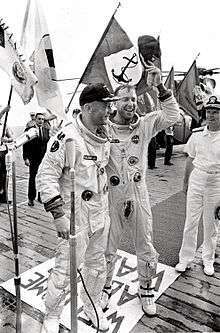 ↑ Byrnes, D. V.; Longuski, J. M.; and Aldrin, B. (1993). "Cycler Orbit Between Earth and Mars" (PDF). Journal of Spacecraft and Rockets. 30 (3): 334–36. doi:10.2514/3.25519. Retrieved October 25, 2015. ↑ "ABC U.S. News Videos & Video Clips Online". ABC News. ↑ "Ex-astronaut escapes assault charge". BBC News. September 21, 2002. Retrieved July 7, 2012. ↑ Aldrin, Buzz (2009). "A Blow Heard 'Round the World". Magnificent Desolation. Harmony Books. p. 281. 1 2 Aldrin, Buzz (December 5, 2003). "Fly Me To L1". The New York Times. Retrieved November 14, 2009. ↑ Aldrin, Buzz (June 13, 2013). "The Call of Mars". New York Times. Retrieved June 17, 2013. ↑ Dunn, Marcia (August 27, 2015). "Buzz Aldrin joins university, forming 'master plan' for Mars". AP News. Retrieved August 30, 2015. ↑ Aldrin, Buzz (July 3, 2009). "Buzz Aldrin calls for manned flight to Mars to overcome global problems". The Daily Telegraph. Retrieved January 7, 2011. ↑ "Scandinavian-American Hall of Fame:Buzz Aldrin". Hostfest.com. Retrieved March 2, 2014. ↑ "'First Moon Landing, 1969' United States postage stamp". Retrieved March 2, 2014. ↑ "Variety International Humanitarian Awards". Variety, the Children's Charity. Retrieved May 7, 2007. ↑ Yune, Tommy (July 20, 2009). "Apollo 11 honored on the Hollywood Walk of Fame". CNN. Retrieved July 28, 2016. ↑ "Space Foundation Survey Reveals Broad Range of Space Heroes". spacefoundation.org. October 27, 2010. ↑ Buzz Aldrin [TheRealBuzz] (October 14, 2015). "I am so honored to be the new Chancellor of ISU at the #IAC2015 following in Arthur C Clarke's footsteps." (Tweet) – via Twitter. ↑ "Apollo 11 Mission Op Report" (PDF). NASA. ↑ "Astronaut Buzz Aldrin Recounts Apollo 11 UFO Encounter". ufoevidence.org. July 18, 1969. Retrieved October 25, 2015. ↑ "Buzz Aldrin – Officially Divorced". Ghanamma. Retrieved January 7, 2013. ↑ Read, Kimberly (January 4, 2005). "Buzz Aldrin". Bipolar. About. Retrieved November 2, 2008. 1 2 "10 Questions for Buzz Aldrin". Time.com. September 6, 2007. Retrieved March 2, 2014. ↑ Aldrin, Buzz (August 25, 2012). "About passing of Neil Armstrong". The real Buzz. Twitter. Retrieved August 25, 2012. ↑ Staff Reports, Wire and (December 2, 2016). "'Ailing' Buzz Aldrin recuperating". Florida Today. Melbourne, Florida. pp. 1A. Retrieved December 2, 2016. ↑ "Toy Story 3 Featurette – Buzz Lightyear". Trailer Addict. June 18, 2010. Retrieved 2010-08-29.